We have been working with emergency service 4×4 drivers, and search and rescue response teams training them for the off-road element of their job, to ensure that they get themselves and their kit as close to the incident scene as is reasonably practicable. For many responders, we can adapt the skills they have as advanced drivers and show them how to apply the IPSGA routine and skills such as limit point driving to off-road situations. Getting both the 4×4 and the personnel to an incident scene safely, effectively and still in a fit state to work can be difficult, especially in situations where adrenaline can interfere with good risk assessment. We work with response drivers to ensure that the skills they will need come to them as second nature. 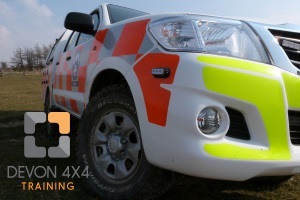 We will usually adapt the Lantra-Awards 4×4 Professional Off-Road Driving course for this training, which ensures that employers and organisations cover all of their legal obligations. It also ensures that operators fully understand the vehicles, the checks required, their capabilities and of course their limitations.